SPLASH! 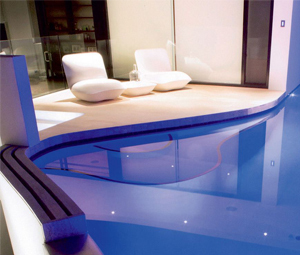 is the leading magazine for the Australasian swimming pool and spa industry. SPLASH! 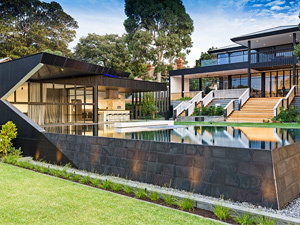 Magazine publishes the latest industry news on a broad range of issues relevant to the residential and commercial pool and spa market as well as aquatics and landscaping. 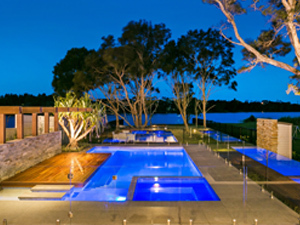 The SPASA Australia Pool of the Year has been won by Western Australian pool builder Quality Dolphin Pools. The award was presented to director Shaun Conley at the gala awards evening at Doltone House, Pyrmont, which was held following the inaugural SPASA Convention. As well as thanking his business partner Adrian Elphick, Conley thanked his family, staff and suppliers in an emotional acceptance speech. Conley helped his father build swimming pools when he was a child in Zimbabwe in 1971. “I’m lucky to have a great partner Adrian,” he said. “We built a business over the past 25 years together. 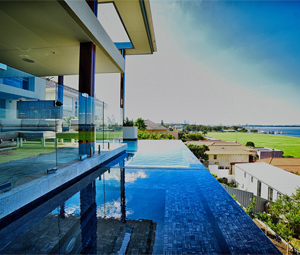 Without him and my family’s support, and also my suppliers – AstralPool Solutions, Austral and other people like PoolWater Products and Chadsons – people who’ve supported me over 20-30 years. Without them I couldn’t have achieved what we’ve done. And to me that’s also the success of our business. The people we work with. It’s not just about me. My staff don’t work for me, they work with me. “And I’d like to thank all of you tonight. And one last thing I’d like to say. I’m a very emotional person. For the full list go to the SPASA Australia website (available from September 7). 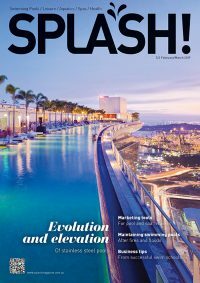 There will also be a full list in the upcoming issue of SPLASH!